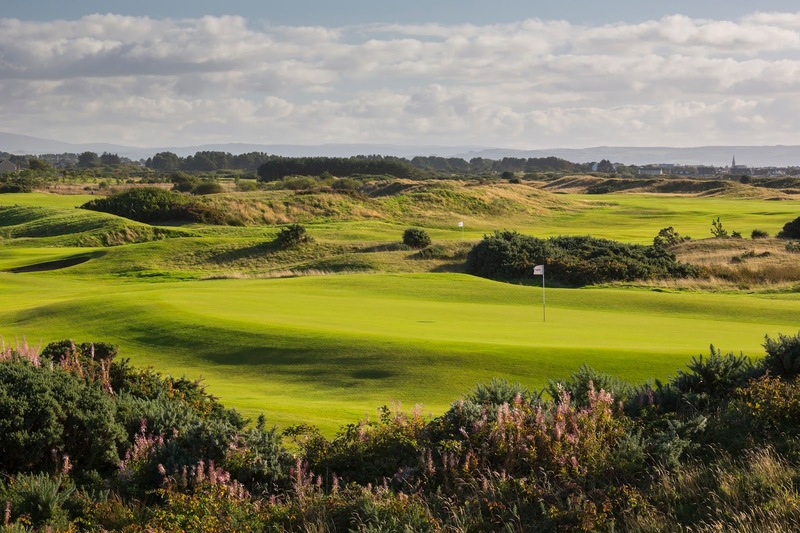 Ayrshire's famous golfing town of Prestwick and Troon are renowned all over the world, but Ayrshire boast another town golfers don't want to miss! Irvine and Gailes sit a few miles North of Troon and boast five and a half fantastic courses. Irvine Bogside Golf Club is built between the town, an old racecourse and the banks of the River Irvine, Bogside’s situation may lack the setting of some of the courses to follow but on arriving on the narrow road to the clubhouse you cannot fail to be captivated by the golfing terrain that lies ahead of you. Always immaculately manicured, the fairways and greens roll over heavy contours and high dunes dissected by copious amounts of traditional gorse and even more heather. Likened by some to Prestwick for its quirky individuality and blind approach shots, if Irvine is where you start your tour you will not be disappointed. Irvine Bogside's neighbour is the public course of Ravenspark which is excellent value and a slightly lesser test of golf than others in the town. A couple of miles to the south of Irvine are the two Gailes courses of Western and Gailes Links, both of which have been well known to the golfing visitor for many years. 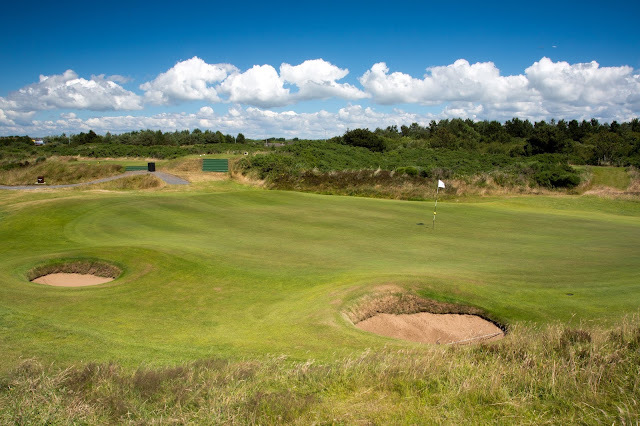 These two traditional links have been joined, and complemented, by the relatively new Dundonald Links which geographically slots perfectly into the parcel of land left vacant between Western and Gailes Links. Gailes Links course designer, former Open Championship winner, Willie Park always believed this links to be one of his best creations. 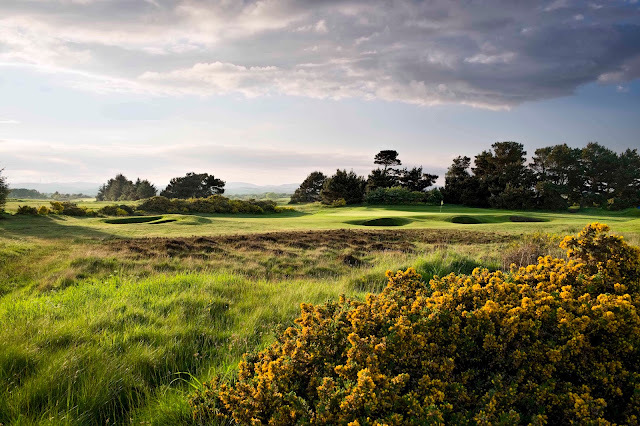 The classic layout is tough, fair and traditionally Scottish, wild heather and gorse define the fairways and the greens are guarded by strategically placed bunkers. 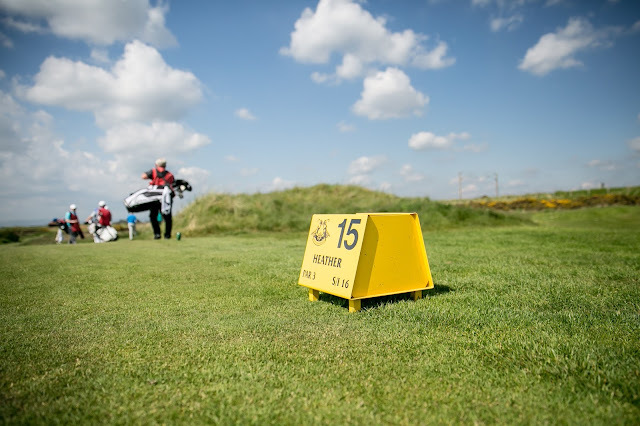 Sandy Lyle, former Open and Masters Champion describes the course as “one of the world’s truly great tests of links golf’ and it has been selected by the R&A as a final qualifying venue for The Open Championship every time it has been at Royal Troon and Turnberry. At 6903 yards long from the back tees, Gailes is a great test of golf whilst the kinder forward tees provide a fine test for players of all abilities. It has perhaps as fine collection of Par Threes holes that you are likely to encounter and a feeling of historic links golf that belies its youth and its quality has already been recognised with its inclusion as Final Qualifying for the 2008 British Seniors Open as well as host to the Scottish Open and Ladies Scottish Open in 2017. When staying in the town, there is no better option than The Gailes Hotel which is no more than a par 5 from three of the courses. With its own driving range and short 9 hole course, it really is the place to stay on a visit to Irvine. Rickie Fowler coming to Ayrshire.